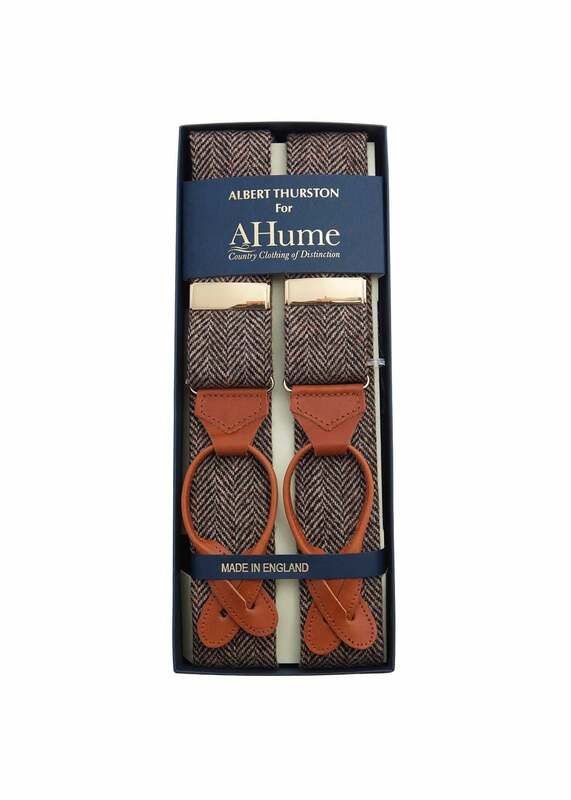 The Dugdale Tweed Braces by Albert Thurston are a great addition to the longest running range of Gentleman's braces. The Dugdale Tweed Braces by Albert Thurston are a great addition to the longest running range of Gentleman's braces. Invented in the 1800's by Albert Thurston as the embodiment of British class, the Dugdale Tweed Braces are the finest quality braces and add a touch of class to any gentleman's wardrobe.